Nowadays, applying paste or other fluid for an application can be as easy as the tap of a button, or slight push of a pedal. In today’s fast paced culture, a fluid dispenser can be an ideal tool in the workforce. 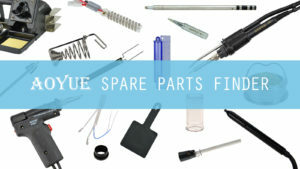 Traditionally, some products would come in a tube, jar, or even a syringe and the fluid is brushed or squeezed onto the needed areas. These dated methods have been improved by the use of fluid dispensers. 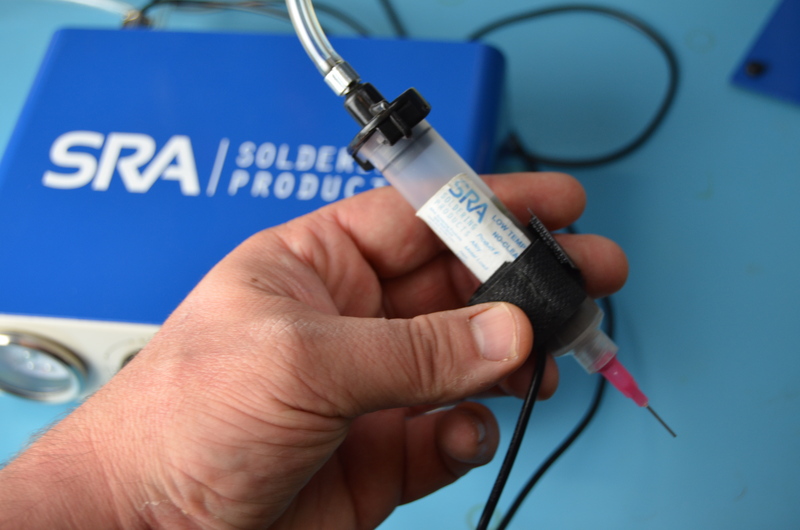 A paste applicator, also known as a fluid dispenser, can be a lot more efficient than other methods. Having a fluid dispenser will prove beneficial for the user with it’s ease of use and simple design. This will help reduce user strain, and improve production numbers. Some Fluid dispensers come equipped with a timer for exact dispensing amounts. This feature can save you money by reducing waste, with it’s accurate and consistent results. In the long run, this will cut cost and can save up to hundreds, or even thousands of dollars, depending on manufacturing output. Another great benefit of a fluid dispensers over other methods, is that it creates a cleaner work area. With the controlled dispenser applicators you have tighter lines and finer points of contact, for a much neater finishing results. One example of this is when dispensing glues, adhesives, and epoxies which can be very messy when not applied in a controlled fashion. 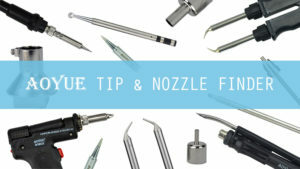 Most dispensers use syringes with a pneumatic plunger system and applicator tips. This setup allows for quick and easy changeover after the paste has been used, and production can resume quicker with minimal changeover time. Because the syringe is air tight and pressurized, the paste is used to it’s full potential. With the use of the Fluid Dispenser, the application process has become easier and a lot more cost effective, increasing product production for much higher profit margins. 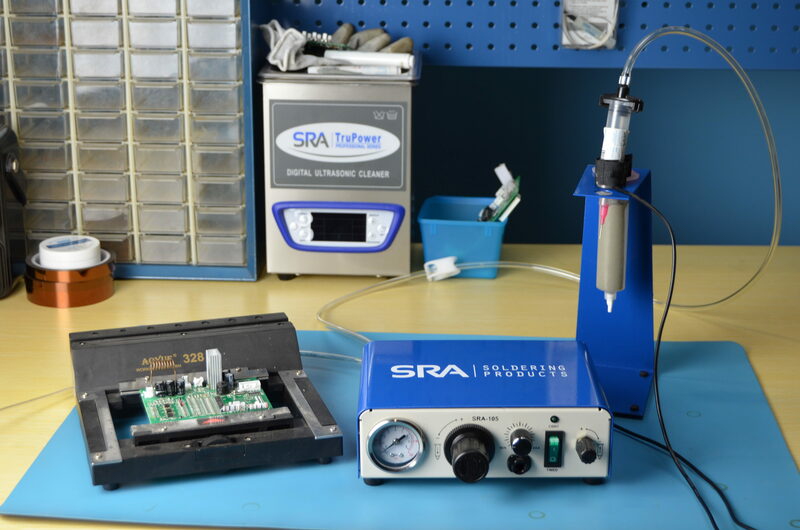 This machine can be used to dispense solder paste,dispensing glues/adhesives, and epoxies. If you are interested in precision fluid dispensers or have further questions feel free to comment or contact us.